Log on with your free Materials Today member account for complimentary access to the first chapter. Thirty-four leading academicians and experts, along with eight professional designers, have come together for the first time to offer their expertise and insights on a number of topics common to materials and product design. The book is organized into four main themes: sustainability, user interaction, technology and selection. Between chapters, readers will find the results of interviews conducted with internationally known designers. These designer perspectives provide a ‘time out’ from the academic articles, with emphasis placed on fascinating insights, product examples and visuals. The result is a very readable and varied panorama on the world of materials and product design as it currently stands. This book is available to purchase via Elsevier Store. 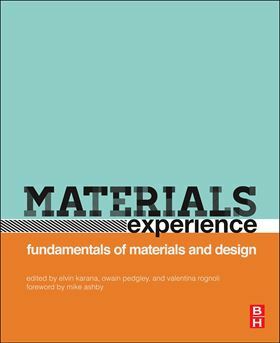 Contributions by many of the most prominent materials experts and designers in the field today, with a foreword by Mike Ashby. The book is organized into 4 main themes: sustainability, user interaction, technology and selection. Between chapters, you will find the results of interviews conducted with internationally known designers. These ‘designer perspectives’ will provide a ‘time out’ from the academic articles, with emphasis placed on fascinating insights, product examples and visuals.